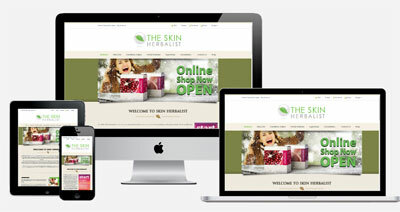 Western Webs were commissioned by Skin Herbalist in Tuam to develop an eCommerce website to promote and facilitate the online sale of the range of skin products and services offered by the company. Skin Herbalist sells a selection of Natural Handmade Artisan Aloe Vera Products online with a simple , easy to use system eCommerce package. For several years Patrick Murphy has provided his first herbal remedies to his patients, with good results. Then as different ailments emerged in his patients he would accommodate by using new herbal formulas, again with marked success. These formulas have worked so well with subsequent patients that they have now become standard. His true philosophy of “getting to the root cause of the disorder”, has helped him to create healing tonic herbals. These herbs help the body overcome disease by strengthening through cleansing and nourishing. Patrick’s ultimate vision is to cleanse and nourish so the body can heal, using wildcrafted, organic herbs.